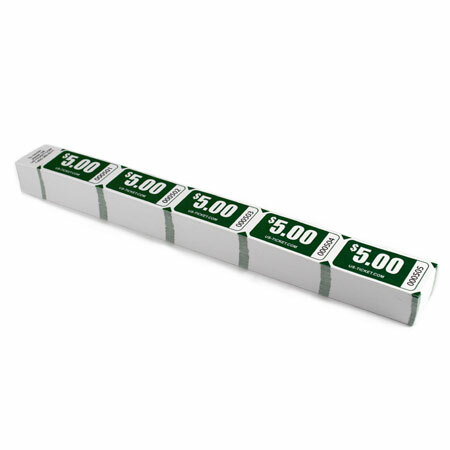 $5.00 Denomination Strip tickets printed in color on bright white card stock. Five tickets per strip, 100 strips per booklet. Sequentially Numbered.